on. Everything seems so dry without it or at least the constant use of hot sauce has conditioned me to taste things that way. 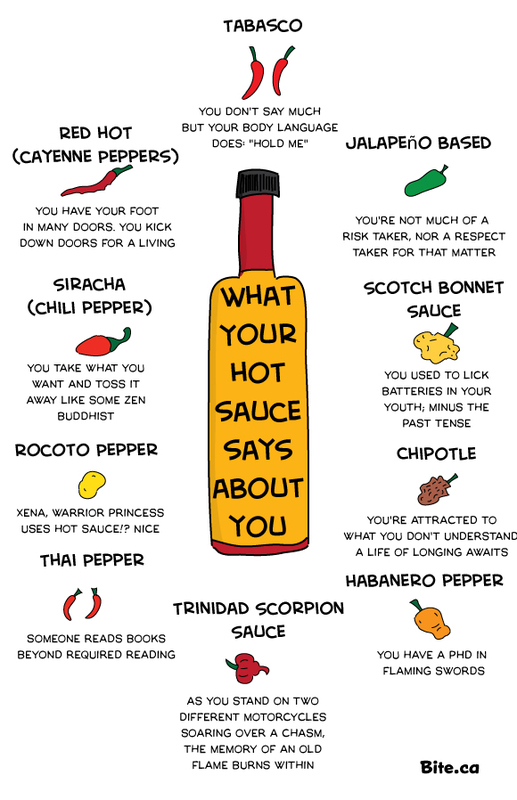 Everyone has their hot sauce of choice and it’s time to find what your particular hot sauce say about you and your juicy brain. The made the previous comic for Bite.